What is it that really defines an exotic car? This is a word that is thrown about by a lot of people and used in describing things as varied as food and even exotic beauty. The naming of a car as an exotic sports car takes a little more consideration. The sleek and aerodynamic looks of true exotic sports cars are much more than just appearance. The slick look of these beauties also contributes to their speed as they cut through the air with very little resistance or friction. The true high performance exotic sports car is as fast as it looks. With true exotic sports cars the design is crucial to giving the vehicle that designation and is a must for the serious car enthusiast. The car makers are well aware of this fact and the makers of the high end vehicles pay particular attention to creating standout designs that draw attention and gather crowds of onlookers wherever they are parked. Car makers such as Ferrari actually outsource the design of their vehicles such as the way that they had Pininfarina design the ’02 ENZO. Another newer model that comes to mind which draws crowds is the new Lotus Elise. We saw one outside of a local restaurant last week and everyone who saw it walked over and stared at it. While design is what makes the exotic stand out from the mere mortal vehicle it is sheer performance that is what the high end auto enthusiast seeks. The speed and handling while maintaining high speeds and hugging tight curves are the factors that truly set them apart. Think about it, the first thing that comes to mind is how fast the car is, how fast is goes from zero to sixty. Beauty really must be more than skin deep when it comes to a true high performance automobile like the 1994 Dauer 962 LeMans which currently holds the record for fastest sports car with a zero to sixty time of 2.6 seconds. True exotics are limited production automobiles and in many cases there is a waiting list for them. This is another thing that increases the appeal, the fact that you don’t see one at every stop light, except maybe in South Beach. 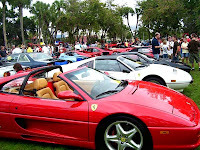 Even people who don’t consider themselves to be car enthusiasts can easily name some of the more notable makers such as Lamborghini, Ferrari, Porsche and Lotus. Personally, I like the new Lotus Elise since it is a vehicle that is somewhat more affordable at under 50k. If you get a chance to see one up close or you are lucky enough to be able to drive one you will see what I mean. I thought that at 6’3" and 240 pounds I wouldn’t be able to get in one but they are deceptively roomy. The two European automakers, Porsche of Germany and Ferrari of Italy, have a lot of similarities even though the two compete with each other head to head for a niche market of the automotive industry. Both companies have a patriarchal founder, companies honed their skills in racing, are over five decades old, and both have a commitment to the integrity of their styling. If you question whether the two are the dominant force in performance autos just take a street survey and you will find that even a novice who knows nothing about cars knows these names. For the purposes of this comparison we have chosen to feature the iconoclastic 911 Carrera from Porsche and the gorgeous Ferrari F430 because the two are representative of their respective company�s long standing tradition of marrying style and performance while offering some practicality but in the end are true sports cars though and through. Both of these cars have the basic requirements of the modern sports car which are the ability to be started easily, handles well in town, takes winding country roads well and has race car performance coupled with safety. When comparing standing start times the Ferrari is a slight bit faster edging out the Porsche by .8 seconds with a four second time in the zero to 100km/h test which is needless to say lightning fast. With speeds like these it is also imperative that the two speedsters be able to stop equally efficiently and the two do so offering optional cutting edge ceramic braking systems. Porsche definitely wins in the fuel economy comparison getting nearly twice the mileage that the F430 gets. Both cars transfer the power of their engines through state of the art six speed transmissions. The interiors of both vehicles offer a great deal of comfort that belies the small space and doesn�t leave the driver feeling cramped or closed in. The overall appearance in style goes to the Porsche hands down though as masters of high quality finish work. When having to decide between the two, assuming you have the money to do so, the biggest difference is appearance with the Ferrari having the head turning looks but overall we have to give the fight to Porsche as the more well rounded of the two and the one that is less costly to maintain. It was fun to compare them however and maybe you should make a comparison of your own. It seems with all of the crime around these days police officers would have better use for their time. However, we have to remember that speeding is still a crime and there are still areas where a speeding ticket is a big deal. One way we can prevent a speeding ticket from falling on us is to learn how to detect a speed trap. So, what is a speed trap anyway? Well, any area that is a frequent hang out for police and where speeding tickets are generously handed out. Many of these areas have certain common characteristics that can give you a warning of an impending speed trap and a possible speeding ticket. Small towns, for instance, are often areas where speeding tickets are handed out freely. When a town has one main road it is inevitably where the police officers are going to be. 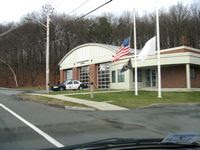 In addition, the low crime rates in these towns may leave police officers with little else to worry about. So, in these cases, a speeding ticket is often a bid deal and a way to pass the time. You may also encounter the occasional small town cop that has his mind made up about big city folk. In addition to small towns, an area that has a successive number of either raising speed limit signs or falling speed limits signs has the potential to be a speed trap. Often times drivers may miss a sign or they may take longer to slow down than or be faster to speed up than what the signs permit. This is the type of speed trap that really gets under people’s skin. Just as changes in the speed limit can denote upcoming speed traps, changes in the road may also signal an upcoming speed trap. Areas with sharp turns are often dangerous enough to actually warrant a speed trap, since speeders and innocent people may be in danger. Hills can also be a sign of upcoming speed traps because police cars may not be seen until you come right up on one. One of the best ways to detect speed traps, or any police radar detection, is a radar or lidar detector. These are great at detecting speed traps where police officers have their radar guns on continuously. This is because radar detectors have time to detect the radar well in advance. However, when a police officer is not waiting for speeders and does not turn on his radar gun until he spots you, this is when a radar detector can fail. The 2007 Formula 1 Grand Prix season started off with a bang this year. 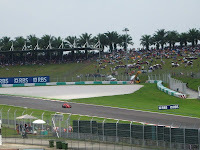 The second racing event in the circuit was enjoyed in Kuala Lumpur as Malaysia hosted the 2007 Grand Prix at its Sepang International Circuit course during the first weekend in April. Included in the Grand Prix Formula One Racing Championship in 1999, the Malaysia circuit, hosted at the Sepang racecourse near Kuala Lumpur, is fast becoming one of the most popular events in that part of Asia. Since their first year in the F1 racing circuit, the Malaysian course has offered drastic changes in weather to challenge F1 drivers, as well as a 56-lap, 5.54 km racecourse filled with hair-raising turns and straight-aways that beg for speed. The Sepang racecourse, built in 1998, has become the guiding design of subsequent F1 racetracks around the world, and has led the way to offering a major global event that attracts thousands of visitors every year to this exotic country filled with charm, grace and history. Sepang is known to be one of the most technical circuits in the Grand Prix circuit, and its combinations of tight turns and straight-aways make it one of the most exciting courses for both drivers and spectators. The racetrack, a mere 3.5 kilometers from the New Kuala Lumpur International Airport, is easily accessible by taxi and can be reached within a ten minute drive. Shuttle services also transport passengers back and forth as well, but most visitors opt to stay at least a few days to enjoy the atmosphere and amenities that Kuala Lumpur and Malaysia have to offer. This year’s race saw Fernando Alonso crossing the finish line first for the McLaren-Mercedes racing team, and hot new rookie Lewis Hamilton, whose debut in the Australian Grand Prix in March 2007 saw him taking third, followed Alonso across the line to finish second in an exciting, heart-stopping race that had crowds at Sepang on their feet. The roar of engines and the smell of hot rubber and warm asphalt drifted over the thousands who came to witness the exciting race, which saw Alonso maintaining an almost nine second lead over Hamilton the later half of the race as onlookers watched with wide-eyed excitement and cheered for the efforts of other racers, including Kimi Raikkonen, who finished third for Ferrari. After Australia, the F1 site at Kuala Lumpur offered racing fans not only a drastic change in temperature, but sights as well. Malaysia, offering a quaint combination of modern amenities and architecture with simple Asian charm, provided domestic and global visitors with a different view of the world as seen by Malaysians. The capital city of Kuala Lumpur welcomed global visitors to the event with open arms and tasty treats that delights the palate. Keep an eye on the McLaren-Mercedes racing team comprising of Alonso and the rookie fast making a name for himself in the F1 world, Lewis Hamilton, in upcomin Grand Prix as both give fellow racers a fast, exciting run for their money. Cars have become a way of life these days. Even with global warming on the rise, the demand for cars does not seem to be falling. Instead, we are watching as eco-friendly cars come into the market. And people are still rushing to get loans and buy their very own set of wheels. The need for speed has become a necessity today. Snail mail is completely passe as email has taken over from it almost completely. The rise of the Internet has ensured that there is a need for speed. Nobody today would walk if he could fly off instead. The twenty-first century is the age of speed. The need for speed makes it crucial for everyone to have a vehicle, or at least aspire towards one. Moreover, these days most of us can manage to buy a car. Auto loans have become very easy on the pocket. As a result, more and more potential car buyers are hoping to benefit from the current situation. If you own property or some other valuable asset that can act as collateral, you are fortunate. Secured car loans generally offer much lower interest rates than do unsecured car loans. Thus, if you can avail of a secured loan, your overall costs will be much lower. Of course, unsecured car loans can be great options sometimes. These days, with the proliferation of loan providers on the Internet, it is certainly quite easy to find the best deals. Even people with a history of bad credit can avail of competitively priced auto loans. The loans that are offered to people with bad credit histories usually come with higher interest rates. But as a result of the great rivalry among loan providers these days, getting a cheap auto loan is fairly easy. In fact, while purchasing a car, one must look out for the most inexpensive car loans possible. After all, a car will require a good deal of maintenance. You will have to fill fuel and send the car for regular servicing. Moreover, you cannot help but buy some good car insurance. As in the case of loans, cheap car insurance is not too tough to locate these days. However, you cannot just sit around and expect cheap insurance (or loans for that matter) to drop in from nowhere. Instead, you must do your share of studying the markets before making the final decision on the insurance policy. All that effort will help you find the best one. Whether it be racing on the streets or racing on the track you should always know how to speed the right way while in a sports car which means driving fast safely. Even though you may know how to race already here are a few things you can do to better your time on the track. If you are a rookie do not rev it all up at the start because you are probably just going to spin the tires off the line trying to get into 2nd gear. For a more advanced racer you should rev the motor where you like its RPM range at then when the signals come or the arms drop you let the clutch out and throttle it out of the pocket. On straight- a ways you should be near top speed and should already know how to handle the car at these types of speeds. Starters should always use both hands when trying to reach a top speed or trying to top out a car. A more advanced racer should know how to accelerate on the throttle and slow down on it around corners. Pulling more on the throttle will throw the car more towards the wall where as slowing down before a turn will allow you to get inside of the turn and maybe take the lead or win. You should only steer when turning. Not saying you shouldn’t have your hands on the wheel just try not to turn the vehicle as that will decrease speed. There is more than 1 way to turning a corner. Gradual turns will put you to the outside of the track where as pulling inside will shoot you out faster. Starters should get used to this first when running on the track. If you are trying for a tight turn you might be trying to drift the corner a little bit which could spin you out or put you ahead if you do it right. This kind of cornering is for the more advanced type of racer as it requires you to brake while keeping your foot on the throttle at the same time. Come to the corner slow then pull out of it as fast as you can without spinning the tires and that will get you out ahead of everyone. Be focused and take note each race how you lost or how you won and how you are going to win next time or how you are going to focus on winning. This is how you become the racer on the track that you want to be. You should be able to keep your cool at high speeds and not be scared if you get scared then this isn’t the sport or race for you. So you might want to get out of the race before you crash the car and have a really bad day.